Wholesale Yard Signs. Full Color job site signs. To the trade lawn signs. Trade only wholesale sign printer. 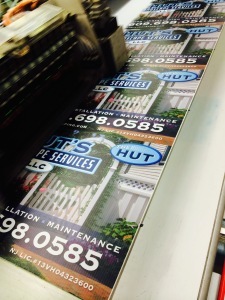 The premier source for beautiful, full color flatbed printed coroplast. We offer same-day and next-day standard production, genuine coroplast brand media, and high pass 600 dpi print quality. Color matching, mixed copy, multiple originals, variable data an d other custom print solutions.